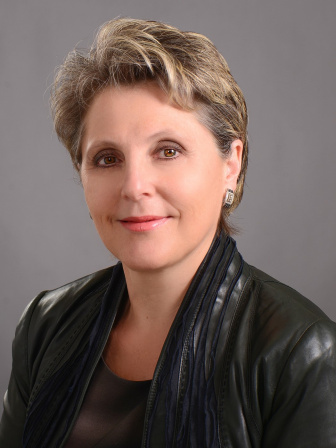 Susan Chubinskaya, PhD, Klaus Kuettner endowed professor, is the Associate Provost for Faculty Affairs at Rush University and Vice-Chair, Research and Faculty Development, Department of Pediatrics. She also holds joint appointments as Professor in the Departments of Biochemistry, Internal Medicine, and Orthopedic Surgery at Rush University Medical Center. Susan holds leadership positions in various professional societies within the field. For five years Susan was the member of the Board of the ICRS and for three years she was a Treasurer and Executive Board member of the society. Now she continues her service to the ICRS as the member of basic science committee and as an inspirational and organizational leader of this first collaborative summit between the ICRS and OARSI. She also chaired 2016 ORS Annual Program Committee and Award and Recognition Committee. Currently Susan serves as the Board member for the ORS and the chair of the ORS Annual Meeting and Educational Councils. As a researcher, she is an internationally recognized expert in the field of growth factors/bone morphogenetic proteins in cartilage repair and regeneration. The focus of her current research is post-traumatic osteoarthritis and biologic approaches to cartilage repair. She is a co-recipient of multiple awards and her research is continuously funded by the NIH, foundations and pharmaceutical and biotech companies. As a Principal Investigator, she secured more than $5M (direct cost) of extramural funding, presented more than 160 invited and podium lectures, published 90 peer-reviewed manuscripts, 11 book chapters, and more than 200 peer-reviewed abstracts.